Hills’ has a range of aggregates suitable for projects which are still able to be done during the harsh winter months. 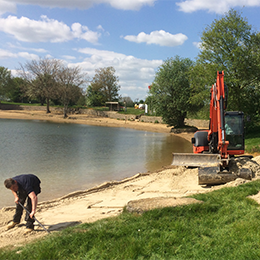 From general purpose filling and levelling to constructing embankments and gabions, we have the products suitable for your needs. Our quarry sites are able to offer many products and in particular, Royal Wootton Bassett Rail Depot has increased the product and stock availability for our customers. For more information and technical advice for which products are suitable for your needs, please complete an enquiry form or call 01793 714999.